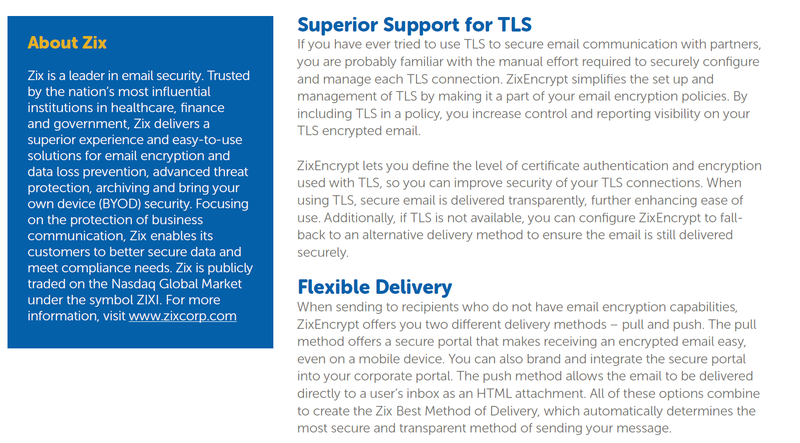 ZixEncrypt removes the hassle of encrypted email and gives you peace of mind that your sensitive data is secure in email. 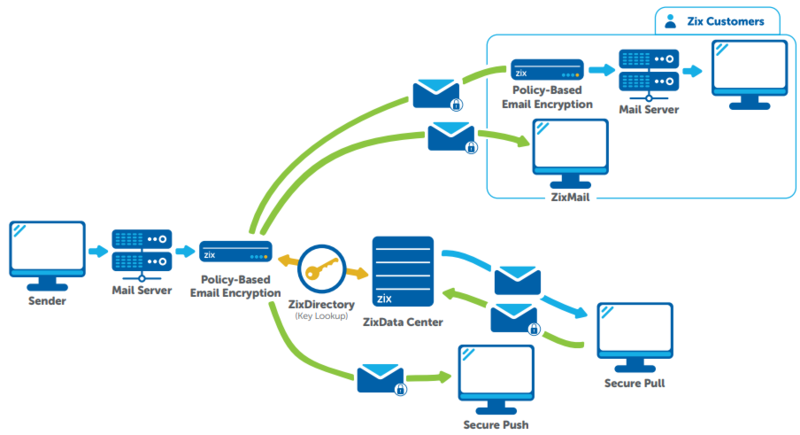 Using proven policy filters, your emails and attachments are scanned automatically. 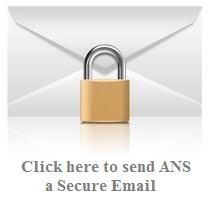 If emails contain sensitive information, they can be encrypted or quarantined. With encryption, secure email is delivered to your recipients in the easiest method possible, including our unrivaled transparent delivery. If the messages are quarantined, there’s a second chance to review, ensuring the right messages are going to the right people. As a MSP and Premiere Partner of Zix, we can help you. Call us today and get protected.